We just had two days of doing whatever the heck we wanted, for the first time in quite awhile. J had some work to finish on our neighbors’ deck so the boys & I did a little Saturday morning shopping. I had to laugh at myself a few different times because I remember when I thought shopping for & dressing boys wouldn’t be any fun. I could not have been more wrong. I had to practice some serious restraint to keep from buying ALL. THINGS. PLAID. But I could NOT resist these shoes. 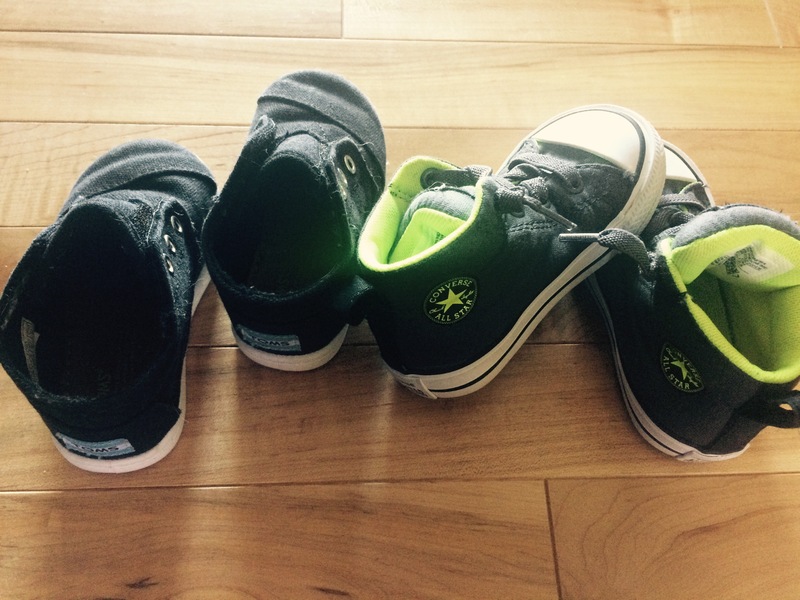 They officially have more shoes than I do at this point. No, for real. We had plans to drive out to Amish country Saturday afternoon for an estimate on kitchen cabinets but with all of the flooding around here, there was no navigable road to get there! 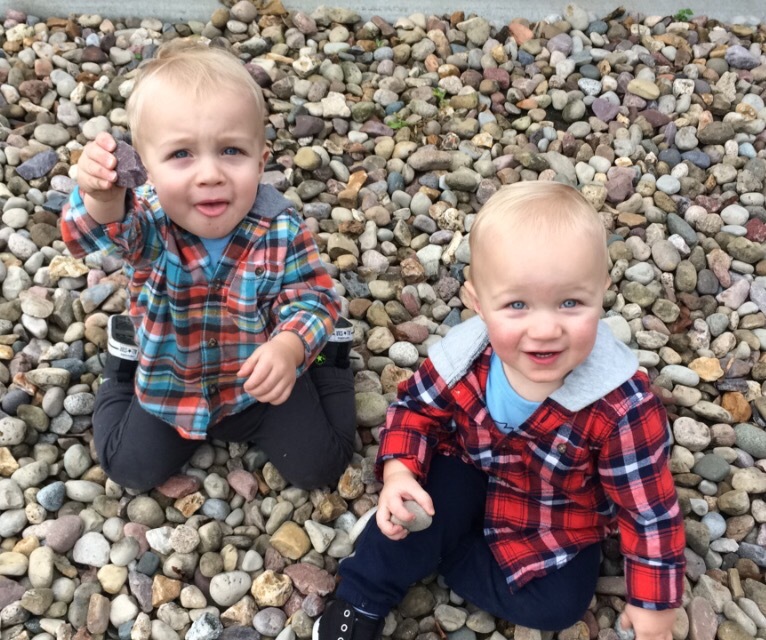 But it was all good because we got to hit up a little BBQ festival, where the boys were able to play in a big pile of rocks. Every boy’s dream! 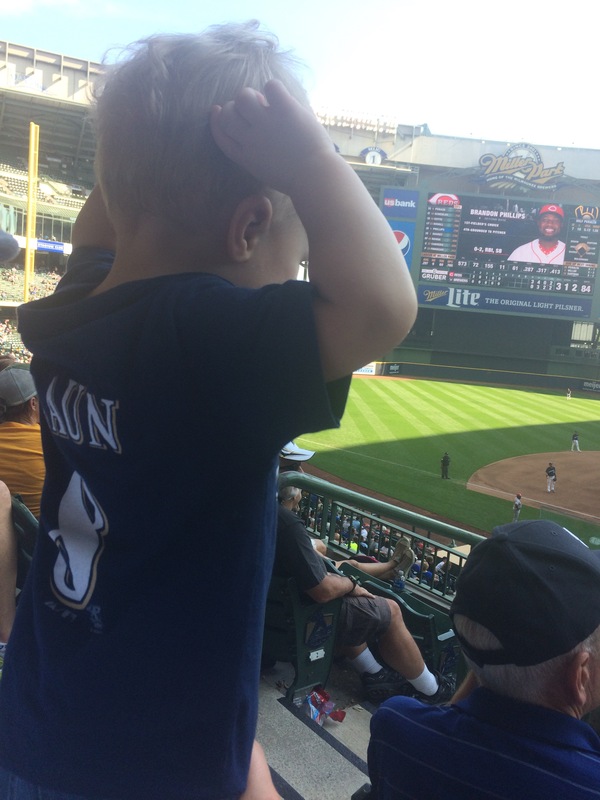 We took the boys to their very first Brewers game on Sunday & while it was a lot of work, we’re glad we did. They enjoyed the cheering & clapping, the loud music, & the sights in general. Next year they’ll be a little more independently mobile so I think it will be more enjoyable for all of us, but it was fun nonetheless. The timing of the game worked perfectly to allow for car naps, both to and from, and we stopped for dinner on the way home. We put two very sleepy boys down for bed at 7:30 & I was so exhausted that I forgot to plug in their monitor when I fell into bed at 10:00 so if they made a peep, I didn’t hear it. I awoke in a panic at 4am, but they gave me an other 2.5 hours of sleep after that. 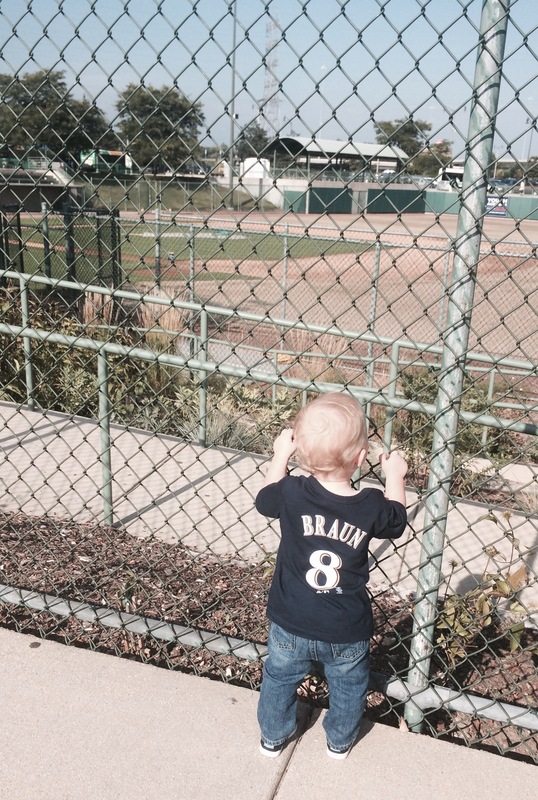 you are brave to bring both boys to a baseball game. I literally can’t even fathom bringing Amelia to one yet. also, you were more than right to buy those shoes, I FULLY approve!